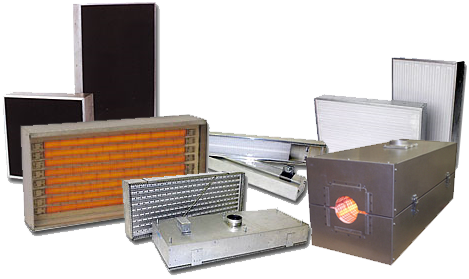 PROTHERM, LLC™ series CV heaters are efficient, long to medium wavelength infrared panel heaters for rugged industrial heating applications requiring higher watt density and excellent uniformity. Operates at surface temperatures up to 1600 F(2.5 micron-peak). Designs up to 45 watts per square inch. Unique opaque Quartz face material. Operating life excess of 6,000 hours is expected when operated at 80% of rated output. Series CV heaters can be mounted in any direction as long as the internal elements remain horizontal. Element direction is indicated by an arrow stamped into the back cover and normally run in the long direction. Element direction can be made across the width, but must be specified at time of order. We encourage customers to let us know how the heaters are being mounted and applied in new applications so we can assure you get the longest heater life possible. Click here to view General Instructions and Warnings on the Series CV Infrared Heaters.